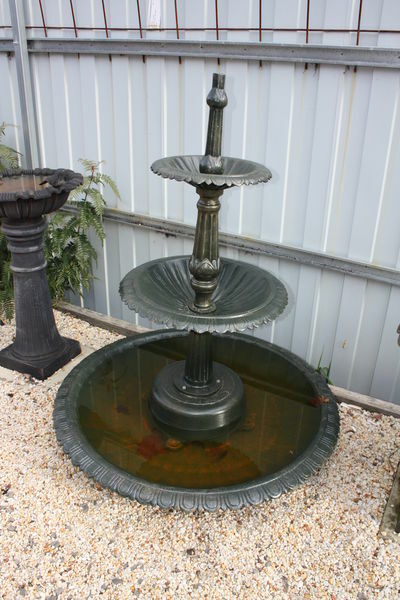 Small 2 Tier Bruton Cast Iron Fountain and Pond. Colour BLACK..Small 2 Tier Bruton Cast Iron Fountain and Cast Iron Pond. POND dia 112cm x 142cm high.